Background screening is widely used by companies in the hiring process. However, problems can arise if you make one of several common errors in the screening program design. These common pitfalls can seriously damage an organization by failing to identify or mitigate the human risk factors inherent in hiring employees. 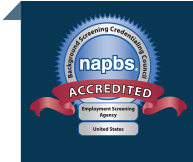 A large majority of employers use employment screening to help select the right employees for a job during the hiring process. Increasingly, they are recognizing that the rapid evolution in a modern economy means that the fit between their workforce and their organizational mission and structure can get out of sync very quickly. Even simple job requirements, which may be contractual, regulatory, or basic company policies, can be met one day and not the next. Jobs that require a specific license or a clean driving record or a requirement that an employee is free of certain criminal records require ongoing monitoring. For these reasons, more and more employers are recognizing that a continuous background screening program is needed to help them monitor and adjust their workforce to their operations. Employment background screening needs to be fair to applicants while at the same time helping to deliver the best employees to the organization. These objectives can be challenging, as it can be tempting to use blanket rules to exclude applicants that have characteristics or backgrounds that you might perceive as too risky or simply would rather not deal with. Knowing how to evaluate the results of a background check is the subject of this article. While many industries are seeing a quickening with global business shifts such as e-commerce and 24/7 virtual access, the trucking industry is suffering from a driver shortage – a problem with the potential to slow things way down. With 70% of freight transported by OTR (over-the-road) drivers, this is a problem requiring immediate understanding and attention. This infographic explains the converging factors creating the problem and the stark reality of what needs to be done about it. Why bother conducting thorough, high-quality background checks on your drivers? The reasons extend far beyond your need to meet regulatory or contractual obligations. Your brand reputation, staff morale, turnover, and even your bottom line is at risk as soon as you say yes to a new hire and hand over the keys. In this infographic, you’ll see a path to more effective hiring and retention through a quality background check process. Of special importance, the court rejected the notion that plaintiff Dilday suffered harm based on the argument that his right to privacy was violated due to a mere technical infraction of the FCRA. This finding narrows the grounds on which plaintiffs can claim employer’s broke consumer protection laws. The ruling limits the meaning of “injury-in-fact” under the FCRA in cases where consumer information is improperly shared. We often field questions about employment screening from our HR clients, and we took this opportunity to answer some of the more common and important ones. We look forward to continuing to deliver valuable content you can use to make better hiring decisions, stay in compliance, and promote fair hiring practices in 2018 and beyond. Happy new year!